Between 9 – 13 June, the South African SDI Alliance visited a public organisation in the Thai government called the Community Organisations Development Institute (CODI) under the supervision of the Ministry of Social Development and Human Security. The purpose of the exchange was to learn about the CODI experience in the institutionalisation of development finance and the creation of autonomous but recognised community organisations with the view of incorporating the lessons presented in this report in the development of a Cape Town city fund, with generous funding support from Comic Relief. We acknowledge with gratitude the guidance and organisation of the exchange by the Asian Coalition for Housing Rights. Download the Exchange Report to learn more about the visit and its implications for institution building in South Africa. When CODI was established in 2000, a survey report noted 63,796 community organizations nation-wide. Over the years, 42,199 organizations have cooperated with CODI along with 2,798 networks. Today over 4.6 million members participate directly and indirectly with CODI’s programmes (www.codi.co.th). 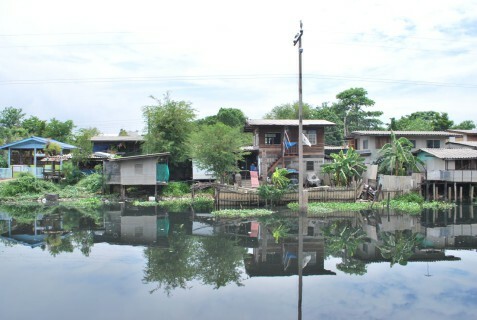 Between 2003 and 2011, CODI’s slum upgrading programme Baan Mankong has delivered 874 projects at a value of US$147 million (average US$185,392 cost per project), benefitting 91,805 families previously living in slum conditions. 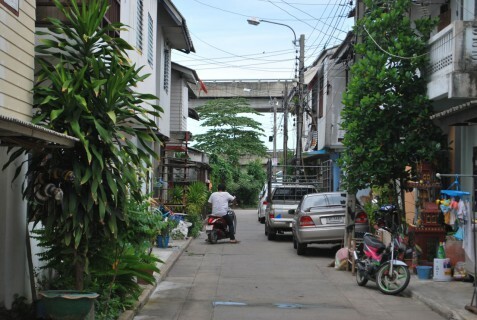 286 cities in 71 of the 77 provinces in Thailand are involved in this extensive urban and rural programme. The average repayment of these projects are 15 years, at an average of US$30 per month (depending on a number of variables). Communities have organised in independent cooperatives and savings schemes and the 2012 balance of these decentralised city fund accounts were US$7.8 million. CODI employs more than 300 staff, of which more than 70% are field workers, working from eleven regional offices (up from five offices just one year ago) of 20 staff each serving 6-8 provinces per office. The headquarters in Bangkok, which employs 100 staff, consisting of a large financial accounting department, research and policy development, and technical support such as engineers, architects, surveyors, urban planners, and other built environment professionals. This learning exchange was centred around Baan Mankong projects in urban areas. ‘Baan Mankong Program’ (BMK) was launched in 2003 with an aim to solve problems of settlements and human security for poor communities countrywide. The program requires cooperation among concerned parties including local communities, government agencies, and private organizations with CODI acting as program facilitator and budget administrator. 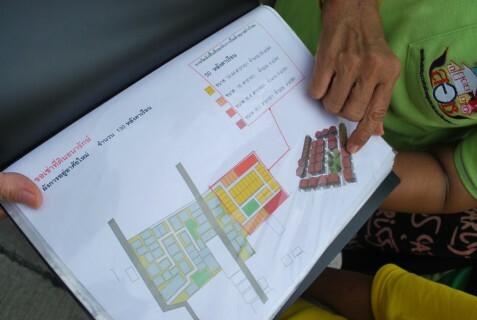 The Baan Mankong Program (meaning “Secure housing” in Thai) puts Thailand’s slum communities (and their community networks) at the center of a process of developing long-term, comprehensive solutions to problems of land and housing in Thai cities. CODI expressly attributes its ability to scale up to the networking that has been spurred between communities: “Baan Mankong has only been possible with the commitment by the central government to allow people to be the core actors and to decentralize the solution-finding process to cities and communities.” (www.codi.co.th).